The great thing about monitor calibration is how quick and easy it is. Whether you are a beginner or a professional, the great news is, there’s a solution for you and you won’t need any technical knowledge at all in order to achieve accurate results. 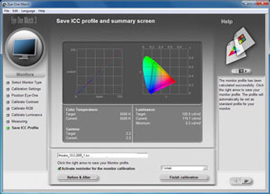 Step 1 – Run the software that is included with most calibration solutions. 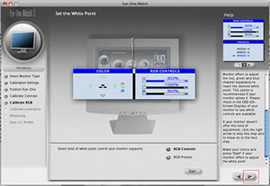 Step 3 – Most solutions offer intuitive on-screen instructions as you proceed through this simple process and you may be asked to make adjustments to the temperature and brightness of your display. 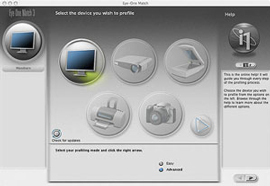 Step 4 – A new active profile will now be automatically created and saved to your computer system. 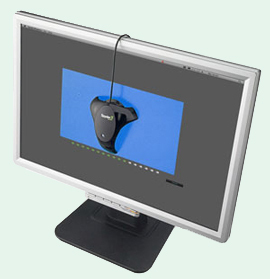 The rest of the article can be read here, which includes the various monitor calibrators on the market at the moment with a convenient comparison chart, and an informative ‘top ten tips’ guide about calibration for you to download. Our new YouTube channel! We hope to use YouTube to open up a whole new world of informative videos and demonstrations, giving you that little bit of extra information and guidance before, during, and after you make that purchase. So, without further ado, take a look at this video from X-Rite about the new i1Photo Pro to see how it could work for you. This entry was posted in Calibration, Color Confidence, Colour Management, Monitors, The technical stuff and tagged Color Confidence, i1 Pro, Monitor Calibration, X-Rite on April 20, 2011 by colorconfidence. In the final part of my series of articles following my visit to this year’s Focus 2011 show, I will be taking a good look at what Nikon were offering on their exceptional central stand. Nikon’s presence at this year’s event was immediate. As I drove closer to the venue I was greeted by numerous billboards promoting Nikon’s ‘I Am’ campaign which continued within the outer atriums as I closed in on the check in desk. One thing was for sure, Nikon would be a major exhibitor this year and definitely one worth visiting. So let’s take a look at some of the very latest solutions that Nikon were busily demonstrating to hundreds of interested attendees throughout the show. It had been especially designed to give Nikon’s visitors the best possible opportunity to see and try the entire range as well as obtaining advice from the team of exerts. There was a busy open-plan seminar area with a large attendee capacity which hosted numerous talks from leading photographers including Andy Rouse, Heather Angel, Alex Bailey and many more across the four days. Visitors to the stand were also able to sample the iconic images of celebrity and fashion photographer, John Wright, in an exhibition of his work. Nikon worked closely with John in setting up their Nikon Foundation competition (which I talked about in my previous article) which was an initiative to support emerging talent with a unique opportunity to work alongside John. So what was on offer, new product wise? Of particular interest was the launch of the new D7000 offering inspired performance in a size that keeps you shooting. The D7000 is a camera that’s ready to go wherever your photography or cinematography takes you. You can experience stunning images with sharp resolution and smooth tonal gradation thanks to the 16.2 mega-pixel DX-format CMOS image sensor and a powerful EXPEED 2 image processing engine. You can take advantage of its wide ISO range of 100 to 6400 and its incredibly low levels of noise. You can expect your images to be pin-sharp and accurately exposed, thanks to the camera’s 39-point AF and Scene Recognition System using a 2016-pixel RGB matrix metering sensor. And with a 0.052 second release time lag and approximately 6 frames-per-second shooting, you won’t miss a moment. In fact you’ll see exactly what you’re capturing with the 100% coverage viewfinder, and for those who want to shoot both stills and movies, the D7000’s D-Move capabilities now include full HD 1080p capture with full-time auto focus and manual exposure. All of this advanced image technology is kept safe beneath the magnesium alloy covering the top and rear body of a compact body, in which the sealing has been tested against severe moisture and dusty conditions. The D7000 is ready to shoot indoors and out, and tested at 150,000 cycles, the camera’s durable shutter unit helps you keep shooting. Combine all this with the unrivalled NIKKOR lens lineup and Creative Lighting System and you will have everything you need to explore your imagination to its fullest. The COOLPIX range offers stylish performance with a touch of real elegance, are slim, great looking and also wholly affordable, no matter what your budget. S9100 – Fine craftsmanship begins with the slim, stylish lines of a compact camera that fits comfortably in the hand. It then squeezes in the versatile reach and range of an 18x optical zoom NIKKOR ED glass lens that provides focal range of 25mm wide-angle to 450mm super-telephoto coverage. S6100 – Slim elegance meets user-friendly high performance. 16.0 effective megapixels of pure imaging power, a 7x zoom NIKKOR ED glass lens with 28mm wide-angle coverage and the advantages of Nikon’s advanced VR image stabilisation help you capture consistently beautiful pictures. S4100 – Ultra-slim lines elegantly ensconce a 7.5cm 460k-dot touch control LCD. The camera fits your hand and shooting style perfectly. Touch control maximises fun and efficiency, whether navigating the user friendly menu interface or enjoying fingertip control over most shooting and playback functions. This model is also available in five funky colour choices. L120 – Compositional freedom is yours with a 21x optical zoon NIKKOR lens that covers a focal range from 25mm wide-angle to 525mm super-telephoto. 14.1 megapixels of imaging power and Nikon’s EXPEED C2 Image Processing Engine maximises image quality and system performance. And that’s it, another year at Focus On Imaging comes to a close! I hope you’ve enjoyed my series of articles detailing my visit to the show this year and that they helped to give you a flavour of the event if you weren’t able to make it and reminded you of some of the highlights if you did. I look forward to doing it all again next year! This entry was posted in Color Confidence, Photography and tagged Color Confidence, Focus on Imaging, Nikon, Photography on April 4, 2011 by colorconfidence.